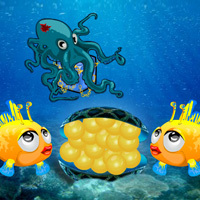 In this escape game, the boy is in golden pearls island seashore. He need to find the golden pearls in this seashore. You have to help the boy to get some clues to find out the golden pearls by finding useful objects, hints and solving puzzle.